The Streetlamp Doesn't Cast Her Shadow Anymore: Griff Says; It's Colorform - in sound and vision. Griff Says; It's Colorform - in sound and vision. What a great month May has been so far for music. I've been so busy that I've neglected to mention Colorform; something that I've been meaning to do for some time and which I intend to remedy now. I came across Colorform on the CLLCT web-site and was immediately impressed by both the quality and the diversity of the songs on offer. I was also intrigued by the complementary visual element, which is part of the complete Colorform experience. 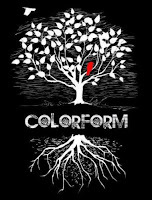 You see, the musical component of Colorform comprises of; singer, lyricist, and guitarist Kate Logan, cellist Matt Logan and guitarist Ben Deibert. Seems straight-forward enough, right? However, in addition to the world of aural expression, Colorform also encompasses visual art. At all live performances and in rehearsals, NYC artist Sarah Valeri provides simultaneous live artwork, a process in which the two art forms are mutually inspired. When performing with the band, Sarah tapes a few sheets of drawing paper on the ground and uses pastels to draw on them as the music plays. Depending on the length of the set, she finishes one or two sheets of drawing. Each painting is unique and has a part of the venue in it. The drawings are up for sale after the show. Sarah is very much presented as an integral part of the band and at live shows her name is included in the band member introduction; “Sarah Valeri on colors". As I've already mentioned , you can see Sarah's artwork, listen to the music and even download it for free at their CLLCT web-site. So why should you? Well, for those of you who need further convincing, we here at 'Streetlamp' have decided to give you a small taster of Colorform's unique brand of independent expression. We've provided two sample videos (below), which attempt to showcase the Colorform audio-visual experience. 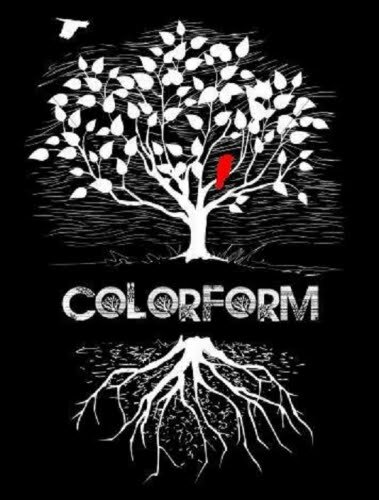 One of the things that has impressed me most about Colorform is that the band don't fall into the popular music cliche of using bowed strings as an afterthought to provide a superficial touch of classical sophistication. On the contrary, Matt's cello is absolutely central to the sound, and demonstrates an astonishing breadth of tone and expression. Possibly because of this, it can be difficult to describe the Colorform sound. On some songs, I think I can hear something akin to the stylish dream-pop of The Sundays, while on others their is an angrier almost aggressive vibe at work. 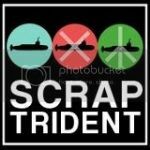 If that sounds contradictory then have a listen and make your own mind up. Hope you enjoyed those. The band can also be found on facebook, myspace and virb. Griff Says; Time for a short detour.